Today was filled with knitting. We have a little knitting store called Fleece here in town, that I have been frequenting for five years. Every Wednesday, they have what’s called Tea and Talk with Libby. 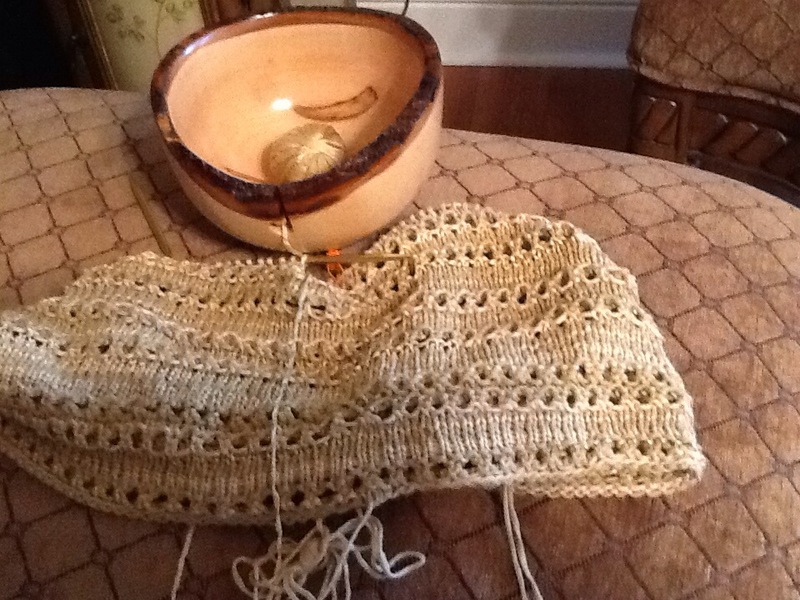 You can bring whatever project you are working on, to knit. It’s free of charge and runs from 1-3. The knitting inspiration is phenomenal and so worthwhile. The ladies that attend are very seasoned knitters. Through the years we have seen people come and go, and always welcome new knitters. We have shared a lot of laughs, sorrows, and we support each other through difficult times as well as the fun times….. I can’t begin to tell you how enriched my life is, by meeting and getting to know all the ladies that I call friends. I will call it ” Kentucky “, because I worked on it during our drive and while we were in Kentucky…. I am grateful for my knitting friends, and I’m grateful that knitting is an outlet to relieve anxiety and to express myself. It is also a perfect way to to give handmade gifts to loved ones and friends. Mr. Brown stopped by to bring a delivery….. Guess what it was? 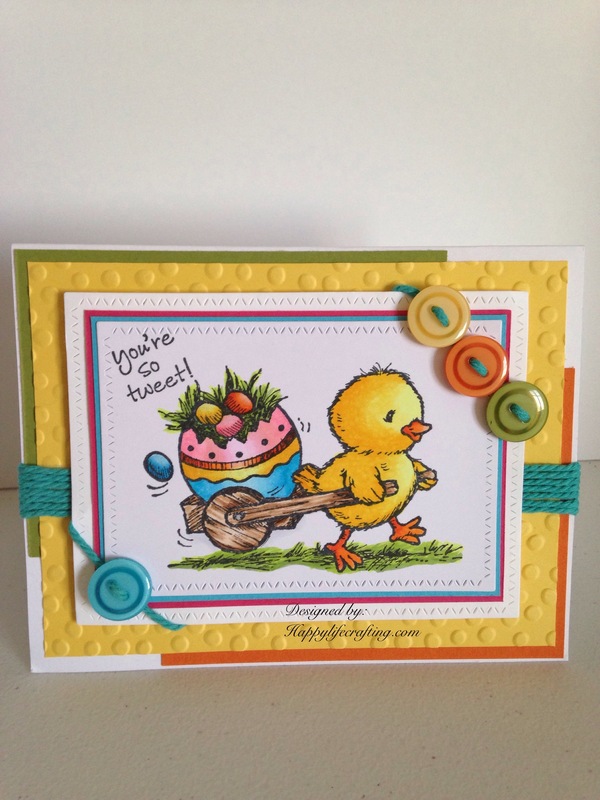 The sneak peek product from the new 2015-16 catalog, from Stampin’up. ( the release date is June 2nd) I’m really looking forward to crafting with all the new product. 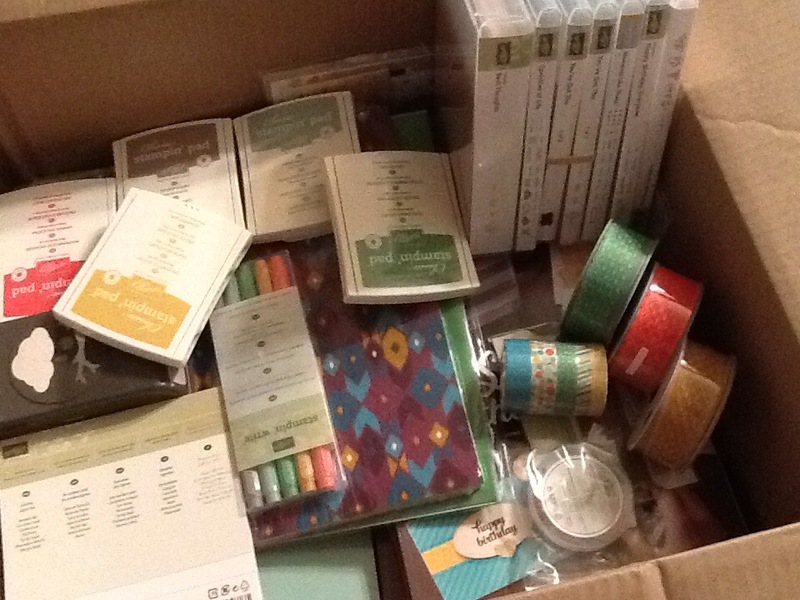 Between the cute, paper pumpkin kit this month and this delivery, I’m not sure what I will use first ….I sure hope I am hit with some inspiration tomorrow. It was a great day filled with all things fiber…. Be happy…. And have a happy life crafting. Stampin’ up deliveries are always exciting. I am NOT looking at the stamping stuff! Lovely post.